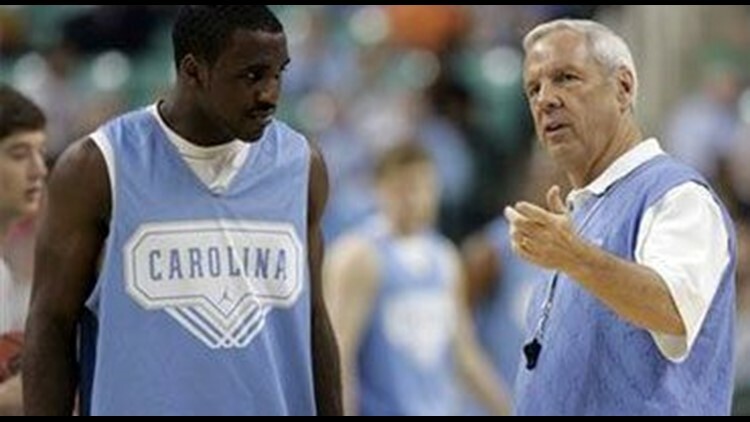 CHAPEL HILL, N.C. (AP) -- Ty Lawson sat in the corner of North Carolina's locker room, surrounded by TV cameras and reporters all asking the same question. Hey Ty, how's the toe? For the second straight March, Lawson's health hangs over North Carolina's hopes for a national championship. Last year, he was making his way back from a sprained ankle that robbed him of some of his explosiveness during a run to the Final Four. Now it's his right big toe, a late-season practice injury likely to sideline him for the top-seeded Tar Heels' NCAA tournament opener against Radford on Thursday. "I'm real frustrated," Lawson said Wednesday. "It just keeps happening over and over. Everybody on campus, every person I walk by, just asks me how the toe is doing. I'm just ready for it to be better and concentrate on playing instead of working on my toe to get that better." Lawson, the Atlantic Coast Conference player of the year, jammed his toe two days before facing Duke in the regular-season finale, but played 36 minutes and nearly had a triple-double in the win. The toe swelled the day after, and Lawson didn't play in either of the Tar Heels' ACC tournament games in Atlanta last weekend. Coach Roy Williams has said Lawson's recovery is going slower than expected, then said Wednesday there's a "huge probability" Lawson will sit out against the 16th-seeded Highlanders. Williams had said Lawson had to practice Tuesday afternoon and Wednesday morning before arriving in Greensboro, located about an hour west of the Chapel Hill campus. Lawson did some jogging and individual work, but didn't do any 5-on-5 work. He participated in the public practice at the Greensboro Coliseum on Wednesday afternoon, a light 40-minute session in which he shot some jumpers and jogged through drills against no defenders. "We're still trying to wait and see," Williams said. "He was not able to do the things that I want him to do in practice. Some things would have to change drastically before I would change my mind on that." Lawson's absence likely wouldn't do much to hinder the Tar Heels (28-4) on Thursday considering no No. 1 seed has lost to a No. 16 seed and the fact that North Carolina will play in front of a home-state crowd. But as the tournament continues, the urgency will only increase for Lawson to get back to leading an offense averaging 90 points per game. Lawson said much of the pain has eased and he is primarily battling stiffness. Williams doesn't want Lawson to play if he's going to require a pain shot beforehand, something he needed against the Blue Devils. "I could play through it," Lawson said. "It's just hard pushing off of it and playing defense and sliding my feet. I don't want to go out there 50 percent like it is now. I'm just waiting to get back out there." Lawson's teammates, meanwhile, have taken to teasing him even while being concerned about the injury. "We're college kids, so of course we're saying ... 'Come on, play basketball,'" said senior Bobby Frasor, who would likely start if Lawson can't play. "But we do know he's going to be a huge part of this run we want to have, so we want him to be as healthy as possible and get healthy as soon as possible." Whether Lawson plays or not, the Highlanders (21-11) know they'll have a tough time keeping up with the Tar Heels. Reigning national player of the year Tyler Hansbrough - who is three points away from breaking J.J. Redick's ACC career scoring record - is one of five players averaging at least 11 points per game, while North Carolina's bench boasts plenty of depth up front with a pair of freshmen big men in 6-foot-10 Ed Davis and 7-footer Tyler Zeller. "There's more game tape out there on UNC than anyone else," Radford junior Joey Lynch-Flohr said. "We watch them two or three times a week just catching them on TV or on "SportsCenter." We are extremely excited to be playing UNC, but as soon as we step on the floor, all or our admiration for them goes out the window and it's just another game." While North Carolina is a No. 1 seed for a record 13th time, Radford is making its second NCAA appearance and first since 1998. Still, coach Brad Greenberg said the Big South tournament champions must believe they will find a way to upset the team everyone picked in the preseason to win the national championship. "There is nervousness, but a good nervousness," Greenberg said. "They should be excited. They should be nervous. But I also think that there's an element of confidence too, which has to be there. You cannot go into a game not thinking you can do it. "Respect the heck out of the team you're playing, know they're terrific, but at the same time, be confident that you have it in you to play 40 minutes of the very, very best basketball you've ever played in your life. You have to feel that way."